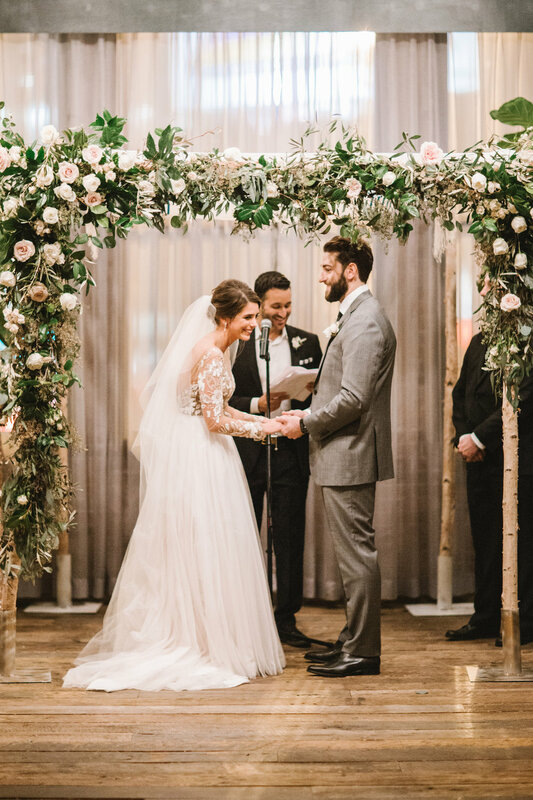 Natalie and Zach said “I Do” beneath a chuppah dripping in roses and lush eucalyptus greenery. 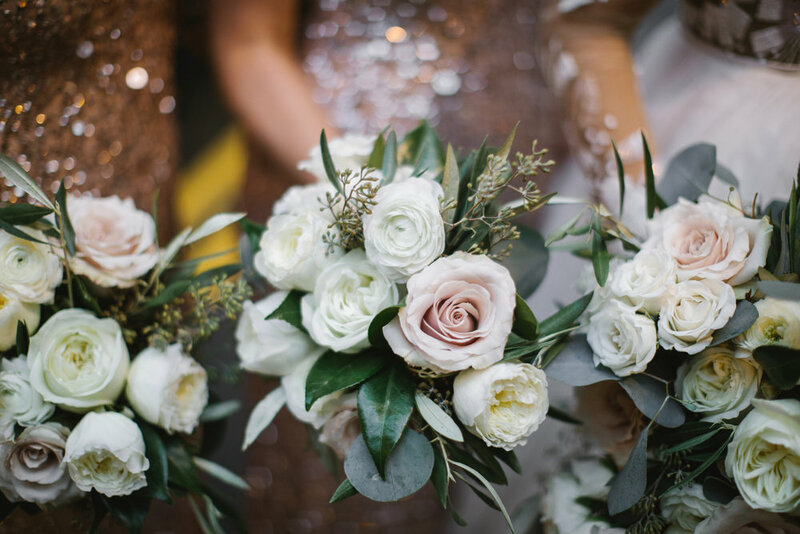 Their late autumn wedding was filled with a warm glow from pillar candles lining the aisle and soft neutral floral tones. 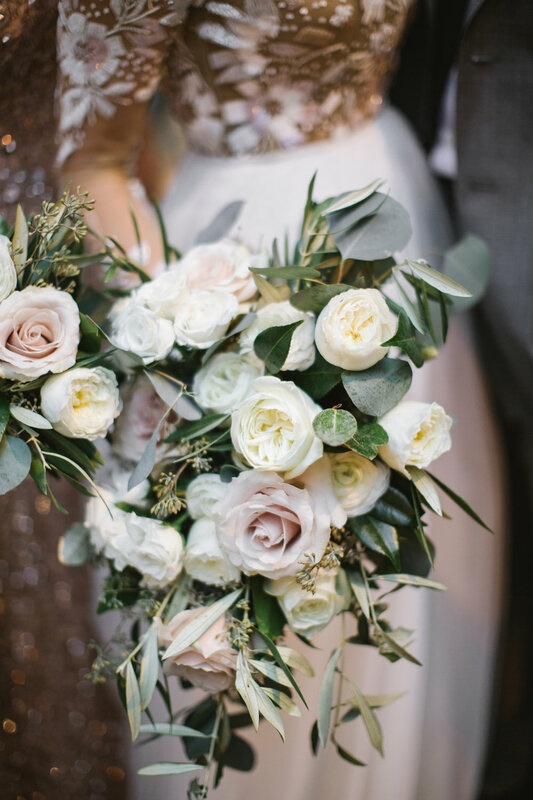 The bride’s bouquet featured white ranunculus, quicksand roses, ivory garden roses, eucalyptus and olive foliage in a loose cascade to highlight the couple’s glamorous and organic style. The bridesmaids complimented the bride by carrying smaller bouquets of the same flowers. 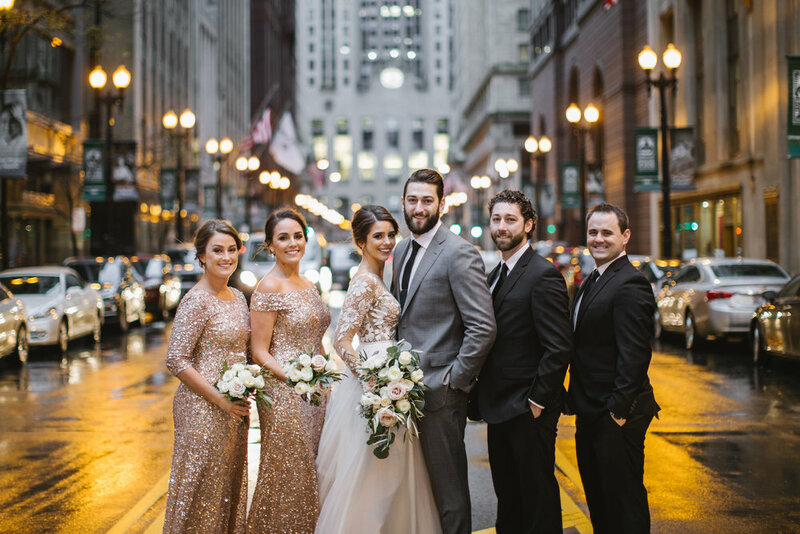 Their combination of sequins, lace, and flowers created a look that was refined, feminine, and fun. 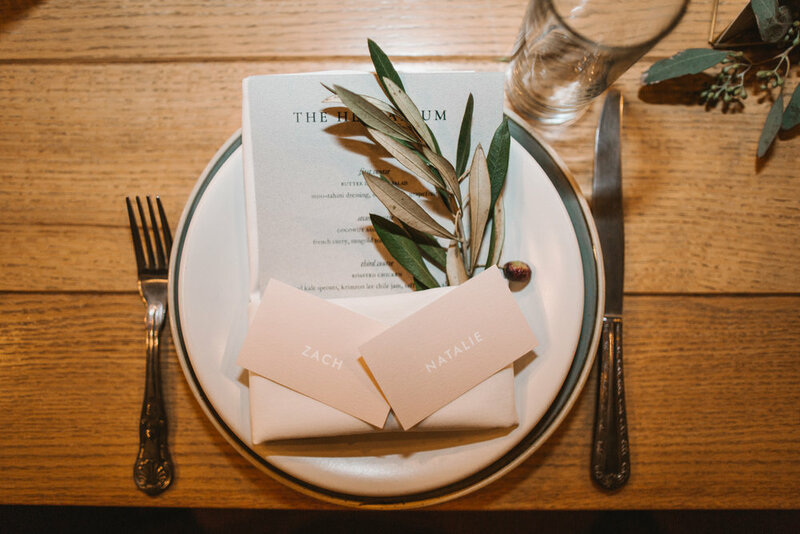 The guests enjoyed their (delicious looking) dinner on long farm tables embellished with garlands of eucalyptus, olive foliage and roses, plus an eclectic mix of mercury glass votives. The front arch of the chuppah was repurposed so the flowers and greenery could frame for the decadent sweets table. 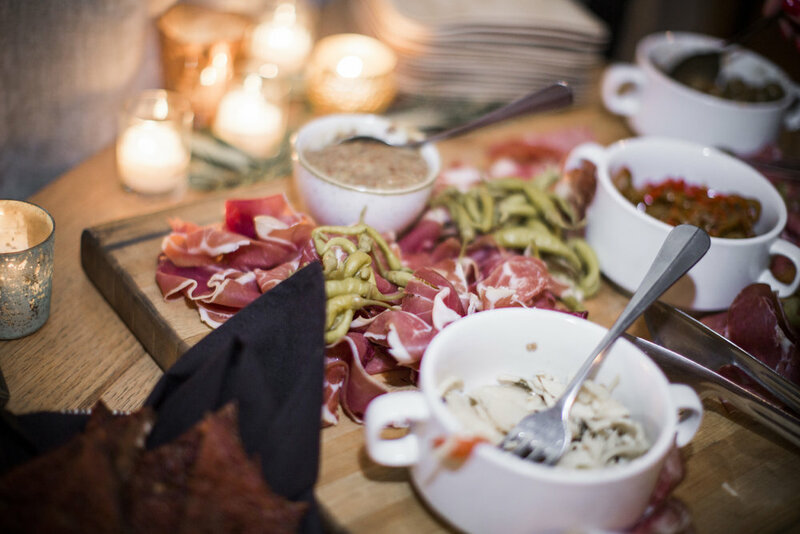 Touches of greenery were spread throughout the reception area to continue the organic, cozy style throughout the night. 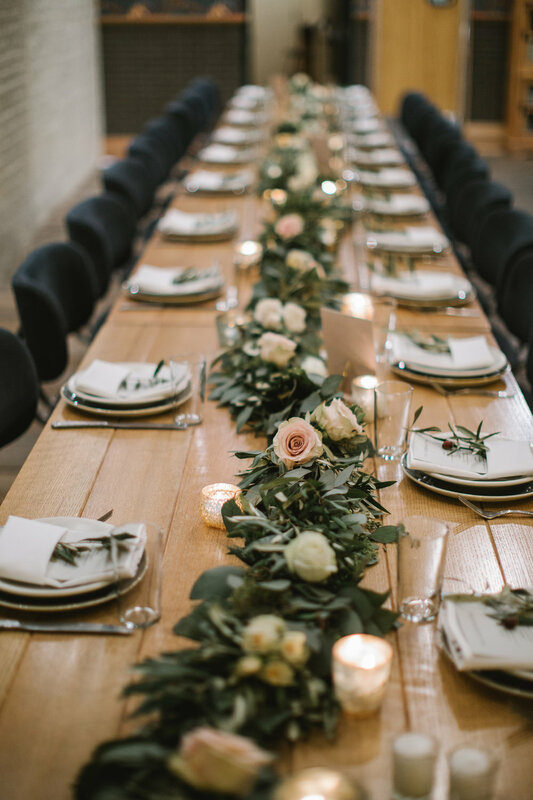 Special thanks to Rebecca Peplinski Photography for the awesome photos and to The Herbarium at Bad Hunter for providing such a beautiful venue for this ceremony and reception.